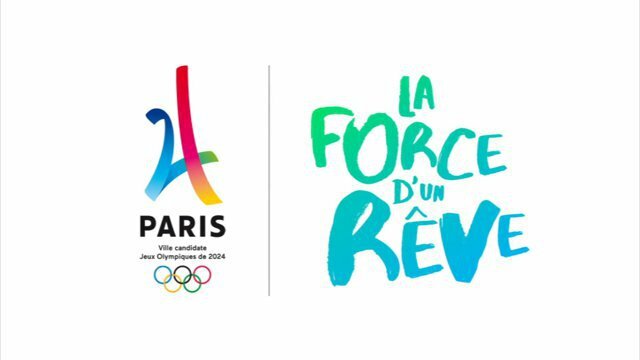 become a volunteer of the OFQJ at Club France during the whole Olympic Games in Rio. Reserve a LOVE HOSTEL at Rio, for a unique experience! 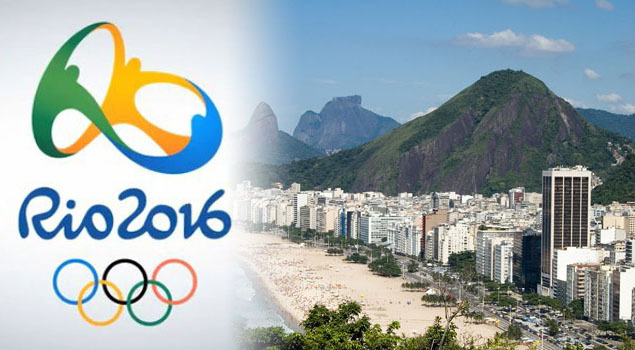 Reserve some budget nights at the first Brazilian Bed & Breakfast and budget accommodations network during the 2016 Olympic Games at Rio de Janeiro. Much better than abritel or Airbnb, chose for a guest house, a housing at an inhabitant’s house, either if it’s an apartment location downtown or a studio at the suburbs, a collocation in Brazil or a simple couchsurfing for a real exchange at Rio de Janeiro and live close to the 42 sports competitions, with 10,500 athletes coming from 205 countries disputing at 306 trials… To find a budget accommodation, you’d better avoid the traders and reserve your accommodation among particulars, hostel associates, traditional youth hostels, guestrooms…) in one of the four areas hosting the sportive event (Barra, Deodoro, Maracanã and Copacabana) and also the neighborhoods where the trials of the 2016 Rio de Janeiro Olympic Games will take place! Copacabana is one of the most well kwon and cheerful neighborhoods in Rio de Janeiro, with the best hostel in Rio. It used to be called Sacopenapã, but in 1754 a Benedictine monk called Antonio de Desterro Malheiro, being lost in Brazil, made the promise that, if he survived, he’d give his village’s name to the place where he’d end up. During the 19th century, the place is named after the building of a chapel that sheltered a replica of the Copacabana virgin, a small village situated at the edge of the Titicaca Lake at Bolivia. The neighborhood is cheerful and full of boutiques, restaurants, youth hostel, bed and breakfast, and cinemas… a great number of soccer fans come here to spend their time. From the 1960’s, Copacabana’s fame grows and attracted the attention of inhabitants that the neighborhood could not contain. It forms a microcosm that unites families of different social classes in a reduced space between the sea and the mountains. Copacabana has one of the most beautiful and famous beaches in the world, half-moon shaped and extending itself for almost 3 miles, from Leme until Arpoador. Nicknamed Princesinha do Mar, the “sea’s little princess”, it is separated by postos (control posts). Each posto has a very peculiar “vibe”. The most well known is Posto 6, where you can enjoy a sublime view of the Pão de Açucar, the famous peak that overhangs the city, accessible by cableway. At the middle of Copacabana Beach is South America’s most ancient luxury hotel, the Copacabana Palace, built after the plans of a French architect. In New Year’s Eve, gigantic fireworks are lit among a gathering of 2 million people dressed in white. As tradition demands, at midnight people throw flowers in the sea. In 2006, the Rolling Stones performed a concert before 1,7 million people. If you like samba, you must go to the Bip Bip (50 Almirante Gonçalves st.). Every Thursday, Friday and Saturday from 7pm you can listen to a real Roda de Samba while drinking an ice cold beer, Carioca style! The Ipanema neighborhood is Bossa Nova’s birthplace, and has also inspired the song “Garota de Ipanema”, also known for it’s English title, “The Girl from Ipanema”. Its beach hosts many international sport events, such as 2016’s Olympic Games beach volley, free swimming and triathlon. Wandering through the famous Calçadão promenade, you’re obliged to taste the Mate (local iced tea with lemon), the Globo biscuits (salty and sweet manioc flour biscuits) and the acai (a refreshing sorbet made of a local fruit that you can’t find anywhere else). At one of it’s ends, you’ll find the Arpoador beach, fondly nicknamed Arpex by the cariocas, the perfect spot to enjoy the sundown and a good caipirinha, before a sleep in your hostel in Rio de Janeiro ! For the romantics, after a night in a Love Hostel in Rio de Janeiro, rent a bike and find out the small Lagoa neighborhood and the Rodrigo de Freitas Lake, surrounded by a 4,5 miles bike lane. If not, you can chose either a pedal boat or a delicious coconut water! We also recommend the Palaphita Kitch restaurant, a amazonian style kiosk full of delicious typical snacks and marvelous drinks! Barra has a Miami vibe with its beaches, shopping malls and restaurants. It is in this neighborhood that you’ll find the Prainha and Grumari beaches: a paradise for the surfers and backpackers ! These authentic beaches are a lot less touristic and are wilder than Copacabana or Ipanema. The Prainha beach is also the biggest protected area in this part of town. It’s an ideal spot to admire the ecosystem and the typical Brazilian species. 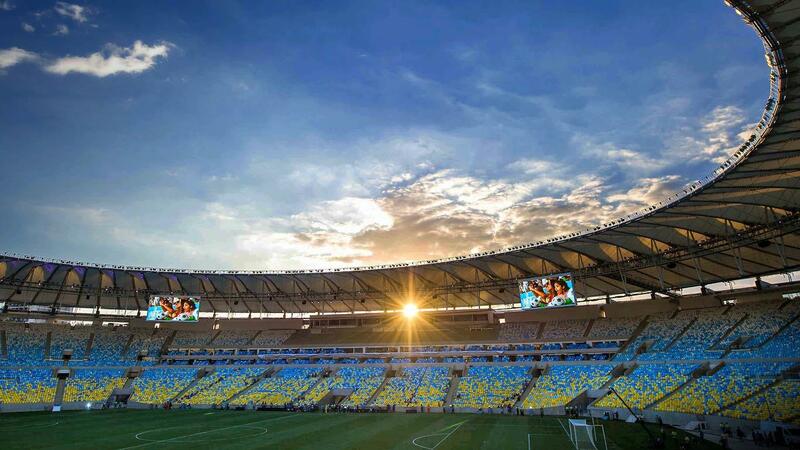 Maracanã is a neighborhood of the north zone of Rio de Janeiro, gathering people from middle and lower classes. You can reach it by bus or by metro, stopping at the Maracanã station at line 2. Its name comes from the Maracanã River, which crosses the city. Maracanã means “green bird” in one the native Brazilian languages. Maracanã is know for having one of the biggest soccer stadiums in the world, the Maracanã Stadium, and not far from it there is also the Maracanazinho Gymnasium, the infrastructures for the 2016 Olympic Games, as well as the Rio de Janeiro State University (UERJ). Our recommendation? Try to see a match the Maracanã Stadium. A typically Brazilian and unique experience, and it’s worth the effort! Not far, you can relax at Tijuca’s National Park: a rainforest in the middle of the city, for those who love trekking, waterfalls and exotic animals. Deodoro is a neighborhood crossed by a railway line, and possesses one of the biggest Rio de Janeiro’s train stations. The station was founded in 1859 under the name of Sapopemba, before changing to Deodoro after the first Brazilian president, marshal Manuel Deodoro da Fonseca. Even though far from downtown, due to the enthusiasm for sports of Deodoro’s young population after the Pan American games of 2007, the committee decided to install some of the Olympic Games facilities at Deodoro, hoping that the creation of infrastructures dedicated to sport will connect the neighborhood with the center of Rio and allow the youth to benefit from that sportive spirit that you’ll be able to discover during 2016 Olympic Games! Leblon is one of the richest neighborhoods in de Rio de Janeiro, situated between the famous Ipanema, the Rodrigo de Freitas Lake, the Jardim Botanico neighborhood and the Dois Irmãos (two brothers) Hill. It’s there that you’ll find Rio’s best night clubs, as well as the most beautiful Shopping Mall, the Shopping Leblon, an all white building with natural sunlight inside. 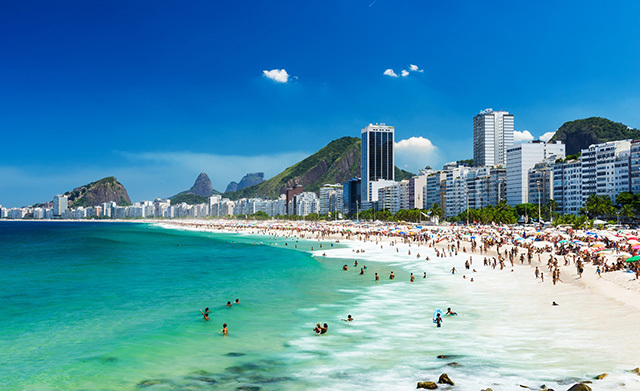 It is also home of some of Rio’s best youth hostel, restaurants, such as the famous Osteria del’Angolo, and fantastic places for grabbing a bite after the beach (you can’t miss Bibi Sucos and its famous acaí). To start the night, close to Leblon’s Cobal: the Academia da Cachaça, with incredible drinks made with Brazil’s best cachaças, as well as typical Brazilian cuisine. On the weekends, you should go wander about in Santa Teresa, Rio de Janeiro’s artistic and bohemian neighborhood. 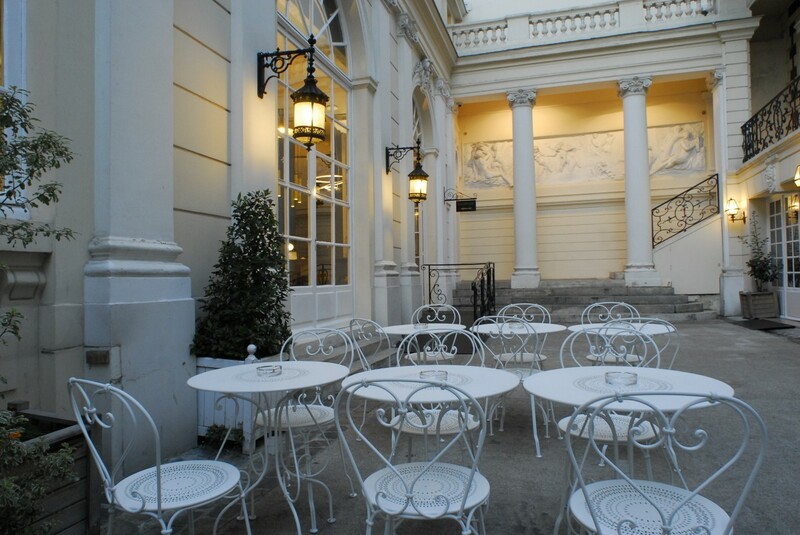 Full of street artists and small interesting boutiques, it has also incredible restaurants. If you’re looking for a real Feijoada (Brazil’s most typical dish), go to the Mineiro’s Bar (99 Paschoal Carlos Magno st.) With a small cachaça, it can’t be beaten! If you want to taste Brazilian fish, go to the Espírito Santa (264 Almirante Alexandrino St.) They have a small veranda with a beautiful view, and in the menu there’s a fish with a crust of Brazilian nuts that will make you cry! One of Rio’s most beautiful sunsets is at the Mureta da Urca. Try to get there early, get a shrimp “empada” at the Bar Urca (205 Candido Gaffrée st) and a beer and enjoy! on a GIANT screen in PARIS! For those who won’t cross the Atlantic, book in one of BVJ PARIS Youth Hostels: the BVJ PARIS / CHAMPS-ELYSEES-MONCEAU hostel, opened 24h/7. A Parisian hostel for a unique experience, in an exceptional building, with guarded entrance, in one of Paris most beautiful areas, a few steps from the Champs-Elysées Avenue, the Triumph Arch and the Monceau Park! 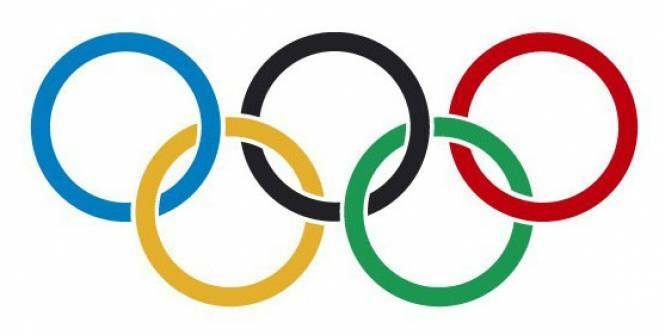 The modern Olympic Games or Olympics (French: Jeux olympiques) are the leading international sporting event featuring summer and winter sports competitions in which thousands of athletes from around the world participate in a variety of competitions. The Olympic Games are considered to be the world’s foremost sports competition with more than 200 nations participating. The Olympic Games are held every 4 years, with the summer and winter games alternating by occurring every four years but two years apart. Their creation was inspired by the ancient Olympic Games, which were held in Olymia, Greece, from the 8th century BC to the 4th century AD. Baron Pierre de Courbertin founded the International Olympic Committe (IOC) in 1894. The IOC is the governing body of the Olympic Movement, with the Olympic Charter defining its structure and authority. The evolution of the Olympic Movement during the 20th and 21st centuries has resulted in several changes to the Olympic Games. Some of these adjustments include the creation of the Winter Olympic Games for ice and winter sports, the Paralympic Games for athletes with a disability, and the Youth Olympic Games for teenage athletes. The IOC has had to adapt to a variety of economic, political, and technological advancements. As a result, the Olympics has shifted away from pure amateurism, as envisioned by Coubertin, to allowing participation of professional athletes. The growing importance of mass media created the issue of corporate sponsorship and commercialization of the Games. World wars led to the cancellation of the 1916, 1940, and 1944 Games. Large boycotts during the Colde War limited participation in the 1980 and 1984 Games. The Olympic Movement consists of international sports federations (IFs), National Olympic Committees (NOCs), and organizing committees for each specific Olympic Games. As the decision-making body, the IOC is responsible for choosing the host city for each Games, and organizes and funds the Games according to the Olympic Charter. The IOC also determines the Olympic program, consisting of the sports to be contested at the Games. There are several Olympic rituals and symbols, such as the Olympic flag and torch, as well as the opening and closing ceremonies . Over 13,000 athletes compete at the Summer and Winter Olympic Games in 33 different sports and nearly 400 events. The first, second, and third-place finishers in each event receive Olympic medals: gold, silver, and bronze, respectively. The Games have grown so much that nearly every nation is now represented. This growth has created numerous challenges and controversies, including boycotts, doping, bribery… Every two years the Olympics and its media exposure provide unknown athletes with the chance to attain national and sometimes international fame. The Games also constitute an opportunity for the host city and country to showcase themselves to the world. There is always a dream. The dream that makes us overcome the obstacles and cross the limits. The dream that turns the impossible into possible for being a source of endless energy. That dream of the games, let us give it all our strength. May it unite the children, the grown ups, those who love to advance, participate, dream and make things happen. All those who know that only the strongest dreams come true. Paris 2024. The Force of a Dream. So, before booking your group accommodation in Paris youth hostels for the Paris Olympic Games in 2024, give Lucas, our favorite Brazilian from the BVJ Louvre Youth Hostel in Paris, a call at 00 33 1 53 00 90 90 to get the best offers for a budget accommodation in a Youth Hostel at Rio de Janeiro, Brazil, during Rio’s Olympic Games!